Introductory chapter of a study of the essential features of living a Bahá'í life, examining experiences of a diverse group of Canadian Baha'is through a sociological framework and a women-centred perspective. 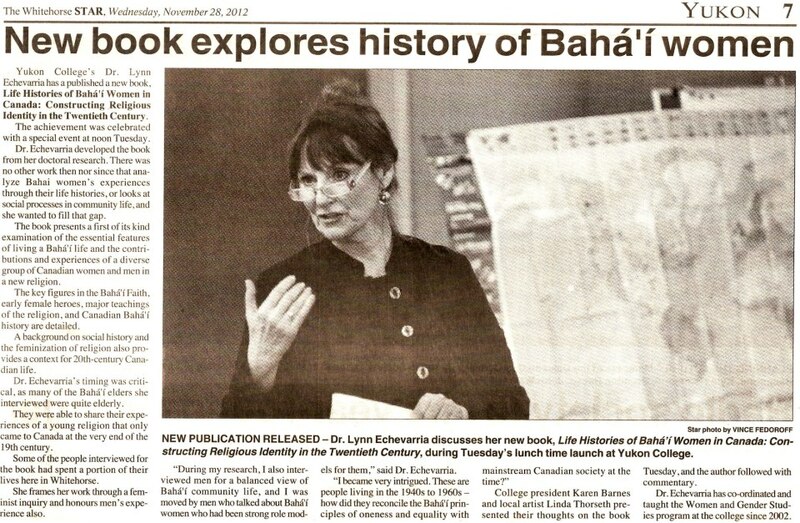 Includes newspaper article about Echevarria. See a flyer about this book, a review of it, or order it from peterlang.com. 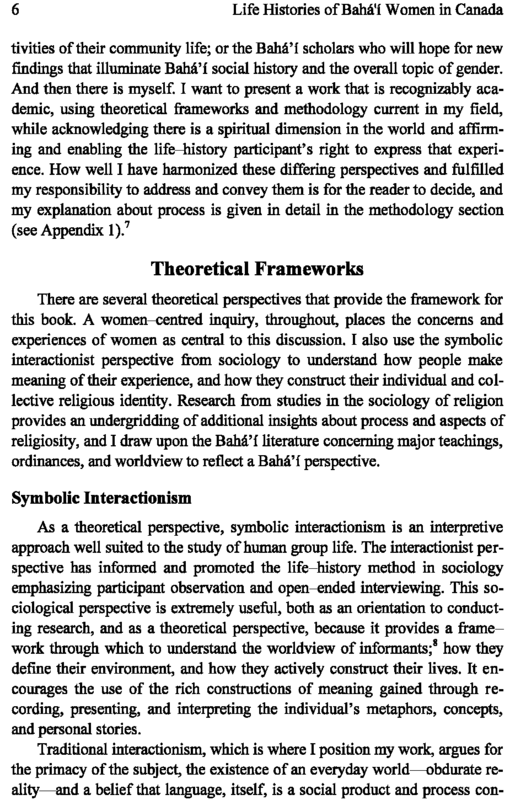 Also see excerpts at amazon.com. 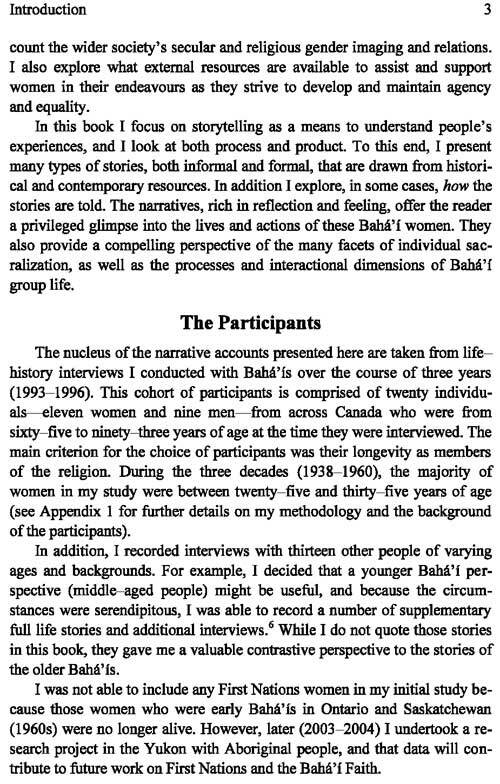 Life Histories of Bahá'í Women in Canada: Constructing Religious Identity in the Twentieth Century is an unprecedented study of the essential features of living a Bahá'í life, examining contributions and experiences of a diverse group of Canadian women and men in a new religion through a sociological framework and a women-centred perspective. The key figures in the Bahá'í Faith, early female heroes, major teachings of the religion, and Canadian Bahá'í history are detailed. 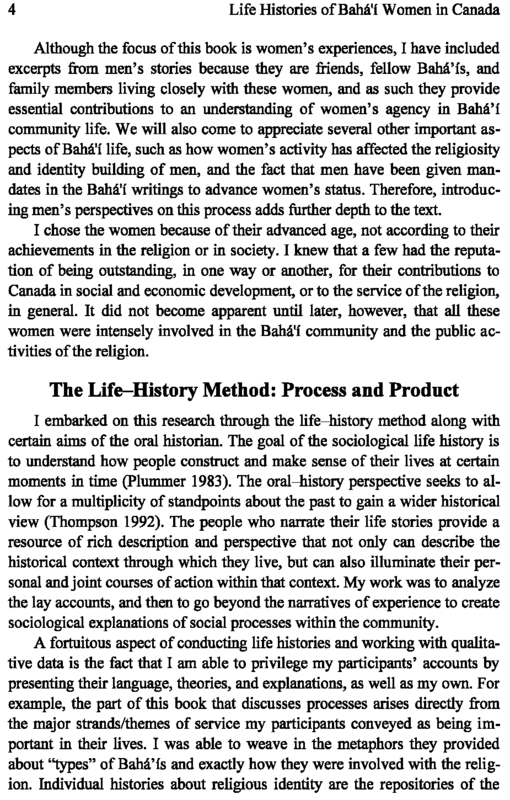 A background on social history and the feminization of religion also provides a context for twentieth century Canadian life. 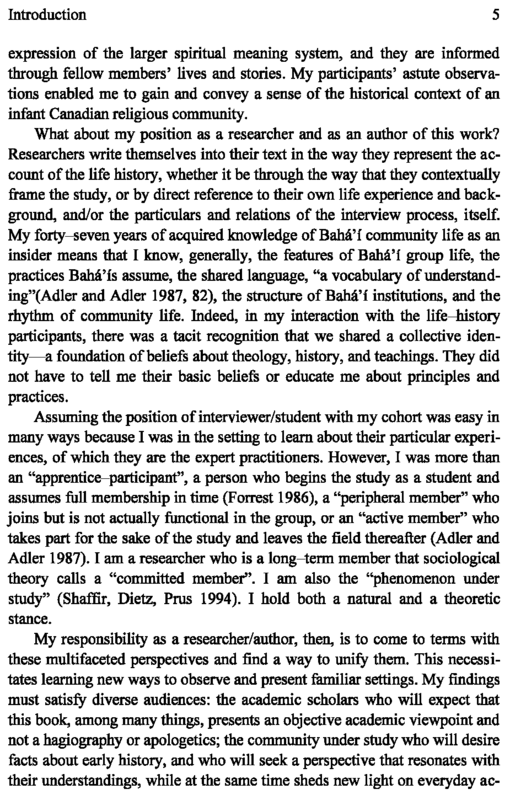 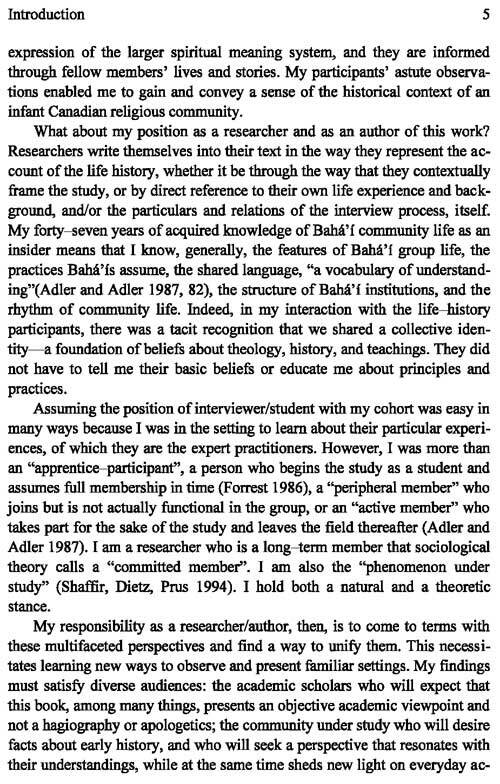 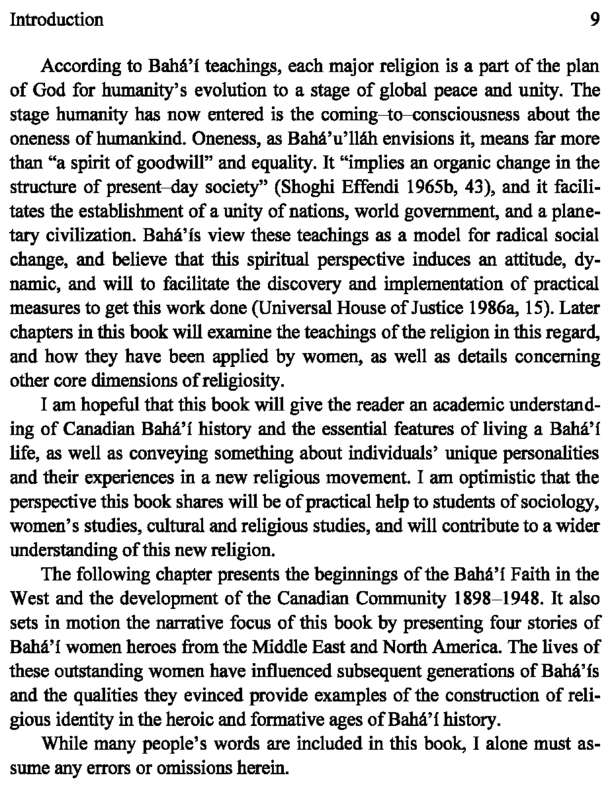 Drawing upon Western religious and secular thought and practice, theories and social attitudes about the nature of woman and the Bahá'í perspective on these topics are explicated. 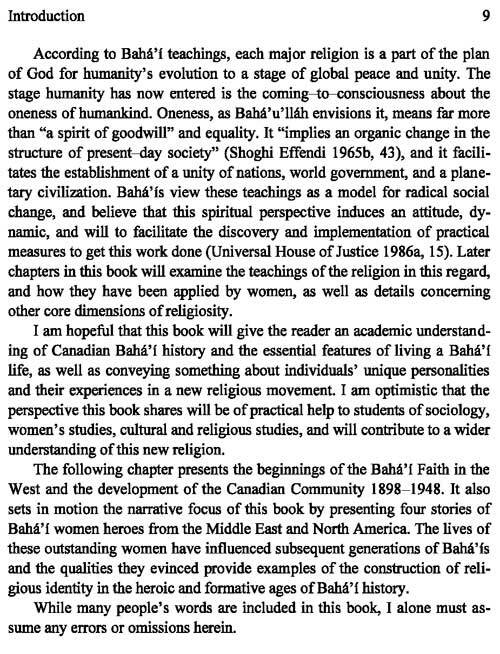 These stirring narratives, historical and contemporary, provide a compelling perspective on social processes and interactional dimensions of Bahá'í community life. 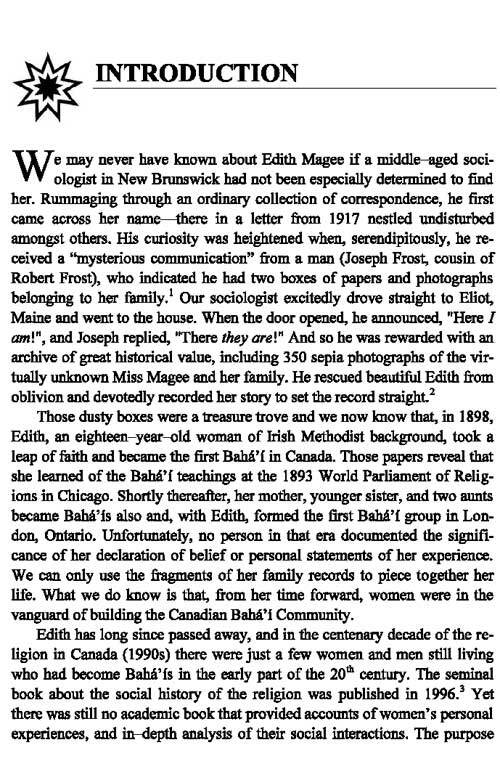 The life histories also illustrate, in poignant, humorous, and inspiring ways, how these notable Bahá'ís "story" themselves along the way. 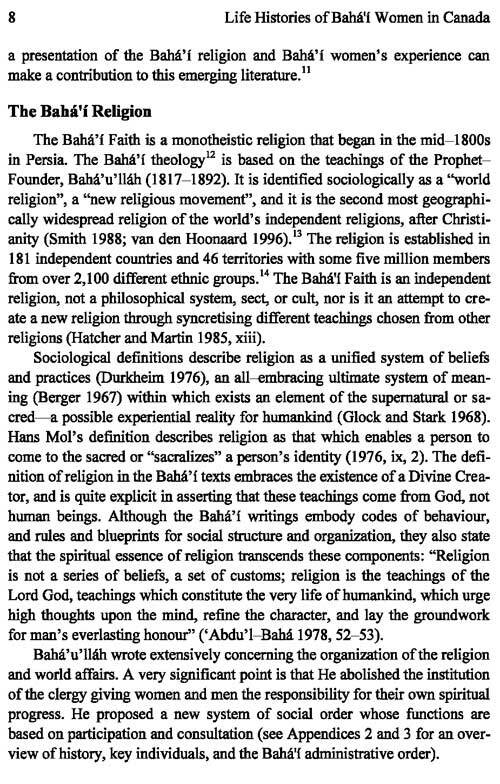 The teachings of the Bahá'í Faith are remarkably forward looking. 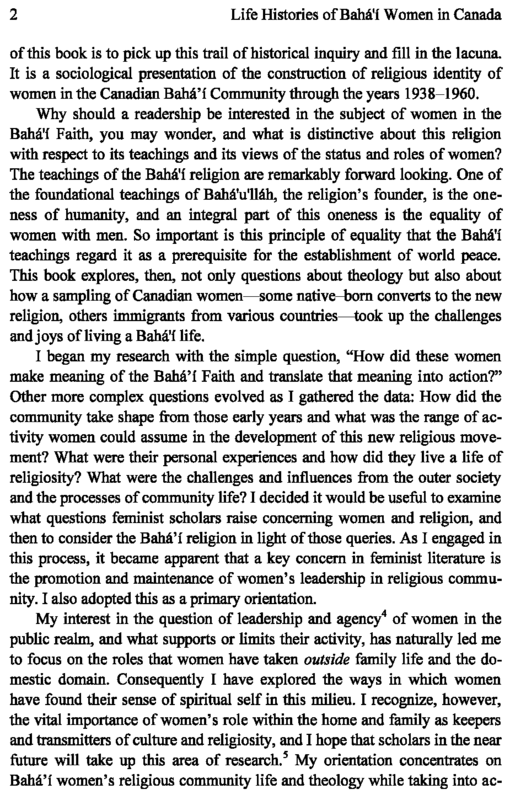 One of the foundational principles is the oneness of humanity, and an integral part of this oneness is the equality of women with men. Lay readers and students of religion, sociology, and women's and gender studies, will be interested in how members make meaning of these teachings on equality and how women's participation in the Bahá'í institutional system is promoted and maintained. 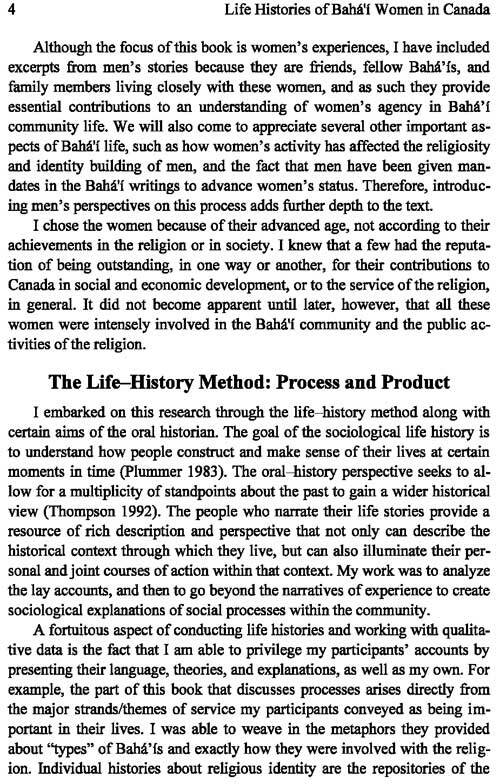 Lynn Echevarria is the Coordinator and Instructor for the Women's and Gender Studies Program at Yukon College, Canada, and holds a PhD in sociology from the University of Essex, United Kingdom. 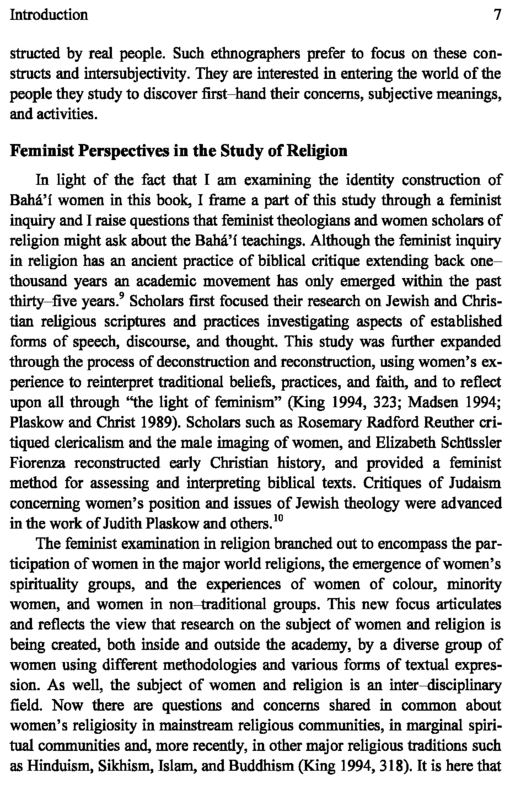 She has a long-time research interest and involvement in women's advancement, and more recently, men's studies. 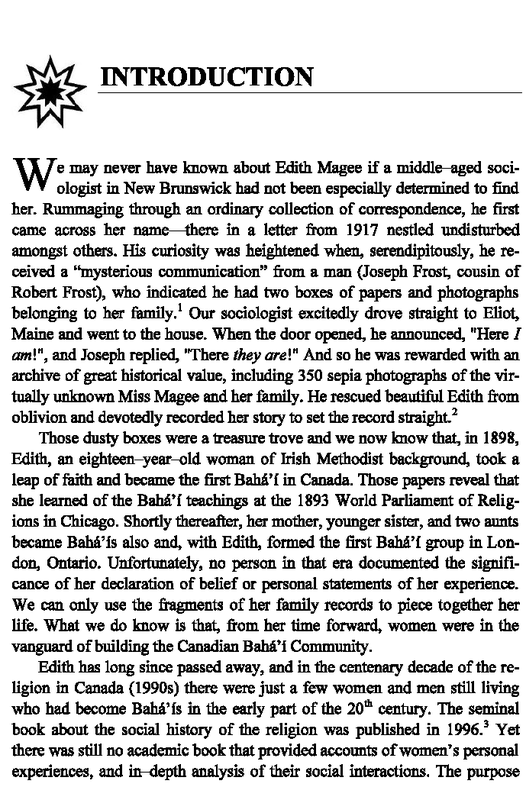 Her publications include articles, reviews, a co-authored chapter in Lights of the Spirit: Historical Portraits of Black Bahá'ís in North America 1898-2000, and a chapter in Bahá'í and Globalisation. She has been the recipient of a Northern Research Institute grant and two Social Sciences and Humanities Research Council (SSHRC) doctoral fellowship.